Alex McCord and Nikki Anderson, two kids introduced at an early age and fate takes over as these two young explorers learn about the history of Native Americans that once roamed the lands that are now Western Nebraska. These kids grow together and become fascinated with artifacts and legends. Devils Tower has its own history and many legends surrounding it from many different Native American Tribes'. DevilsTower is a rock that rises from nowhere in northeast Wyoming and has a rich history relating to the Black Hills. Our two young explorers discover love. It comes as a surprise and is hard at times to figure out the emotions and feelings until one day all their emotions are brought to light. As they discover love they are unexpectedly thrown into a mystery that will forever change their adult lives. 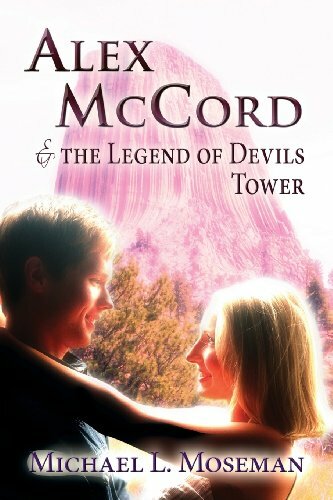 Follow these two adventure minded explorers through the mysterious legend with help from a college professor and his daughter they forge ahead together to unravel the secrets of DevilsTower. Our two young explorers face challenges where death awaits, but through their love, support and devotion to one another they face the challenges while facing fear and death experiences as the mountain divulges its secrets. Follow our two young explorers as they learn the secrets of DevilsTower.